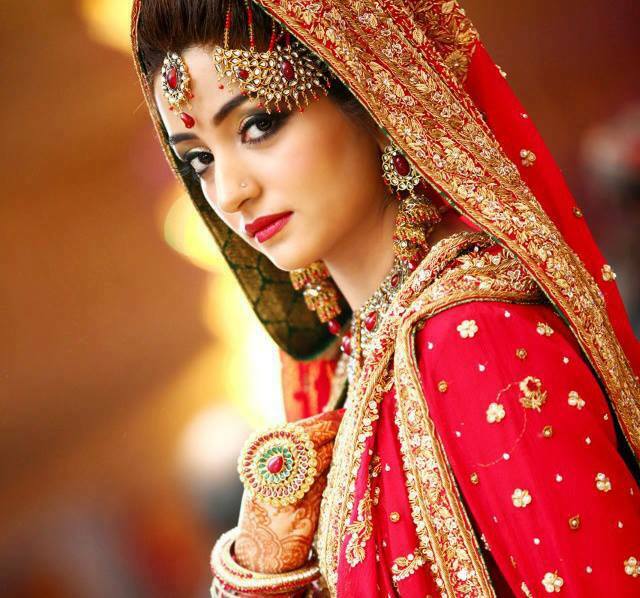 We introduce red bridal lehengas which is use in wedding ceremony, in mostly girls vogue wear red lehenga on barat. Bridal lehenga have in many marvelous styles like short shirt, long shirt, open shirt,loose lehenga, fish lehenga, bell bottom style lehenga with heavy embroidered duptta. 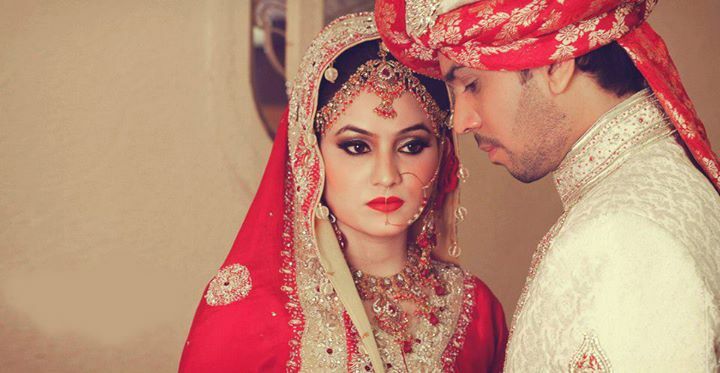 Some girls like wear bridal sari and bridal frocks on her wedding. 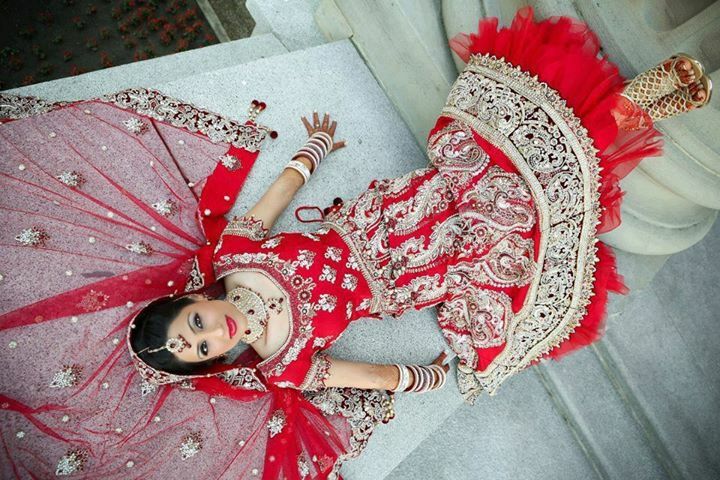 All bridals lehengas combination with red and golden colors. 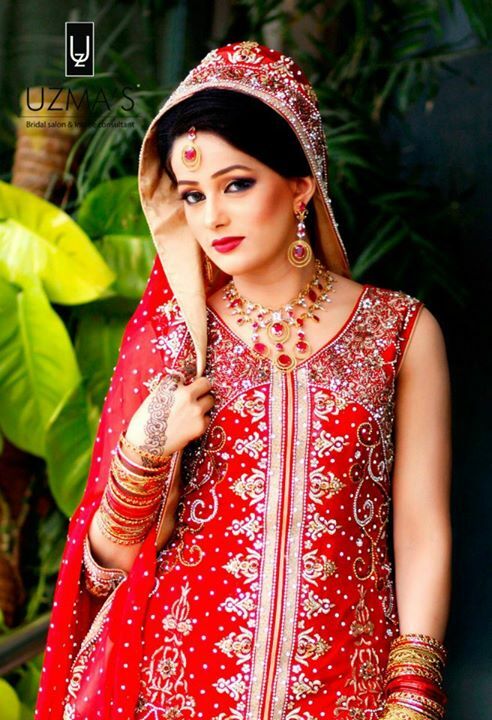 Bridal lehengas decorated with latest zari, cora, dubka embroidery, stylish silver and golden stone. 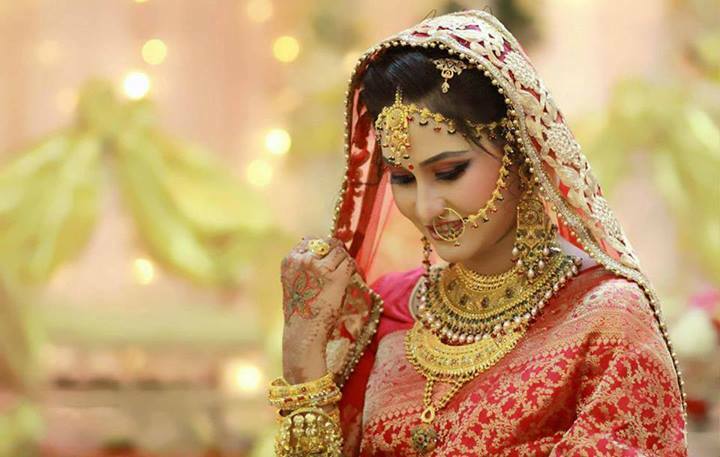 Bridal has wear heavy antiques jewellery, gold jewellery. 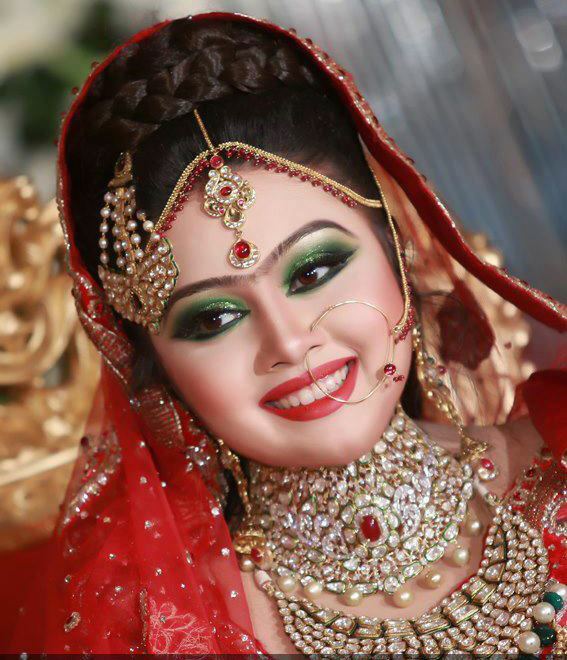 On barat mostly bridal wears nose pin which is round in shape. 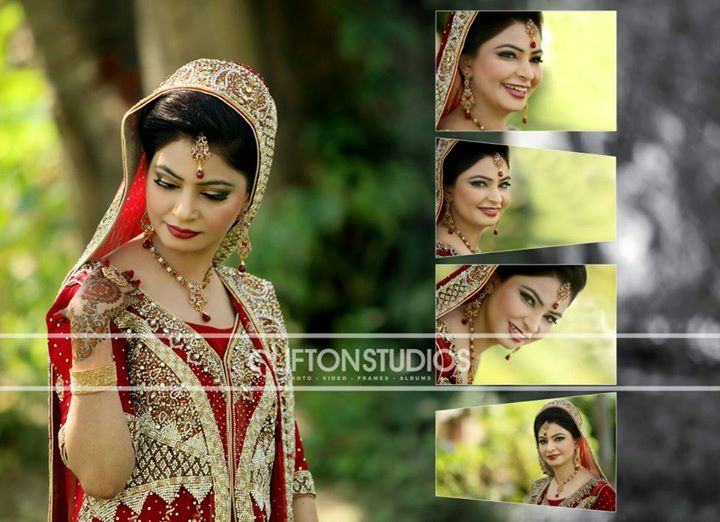 So,bridal looks more gorgeous with nose pin and mehendi design in full off hands and foots.